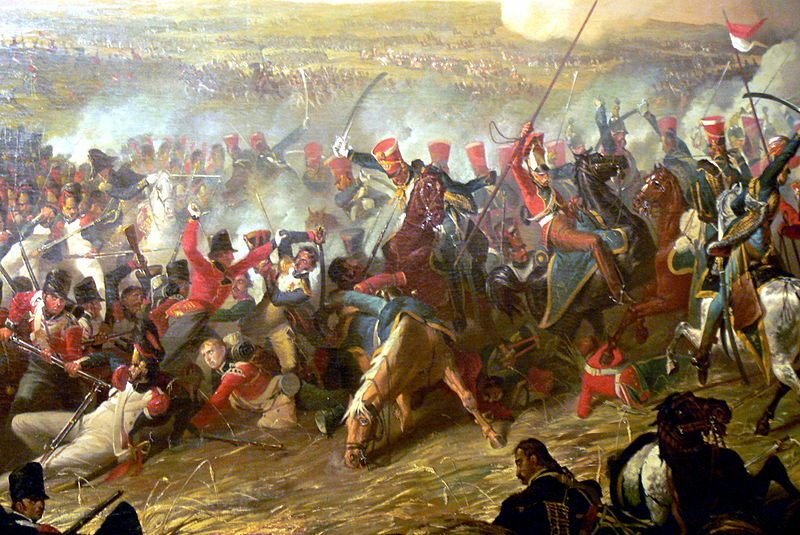 The soldiers of this era probably experienced more change than at any time in history before or probably since. 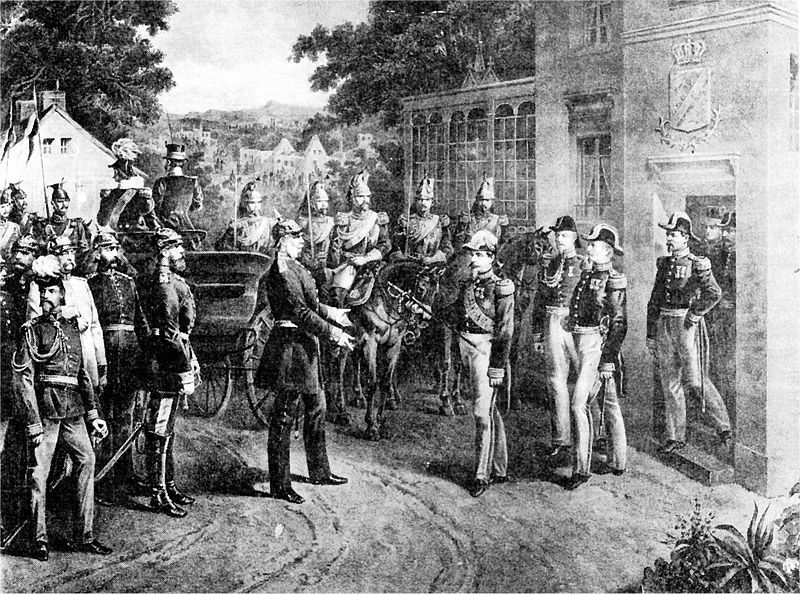 Some of the men who fought in the Waterloo campaign took part in the campaigns of 1793-4 alongside and against men who had served in the wars of Frederick the Great. Some of the men who fought in the Victorian Imperial small wars in South Africa and Afghanistan lived to contemplate the Great War in 1914-18, with its trenches, aeroplanes and tanks. Lt Smith-Dorrien, survived the Assegais of the Zulus at Isandlwana to command an Army Corps in the BEF in 1914-5 against the machine guns and poison gas of the Kaiser’s army. Lord Roberts of Kandahar, the British hero of the 1879-80 Afghan war, had been commissioned under the Duke of Wellington, was awarded the Victoria Cross in the Indian mutiny and died in the field in Flanders in 1914. 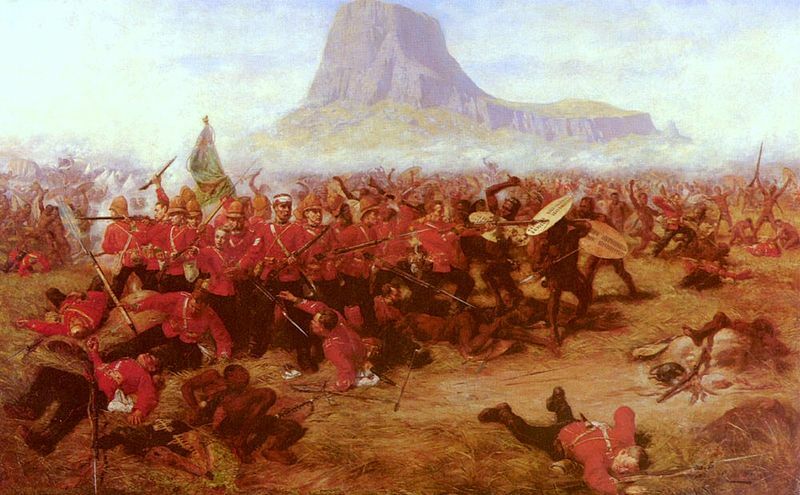 The series of one day courses covers a range of battles from Waterloo in 1815 to Maiwand in 1880, including Waterloo, Gettysburg, Sadowa/Königgrätz, Sedan, Isandlwana and Maiwand. The courses last between two hours and six hours each at a modest cost. £11-21 full Senior £6-12 and Concession £3-7. I am the tutor for all apart from Sedan. 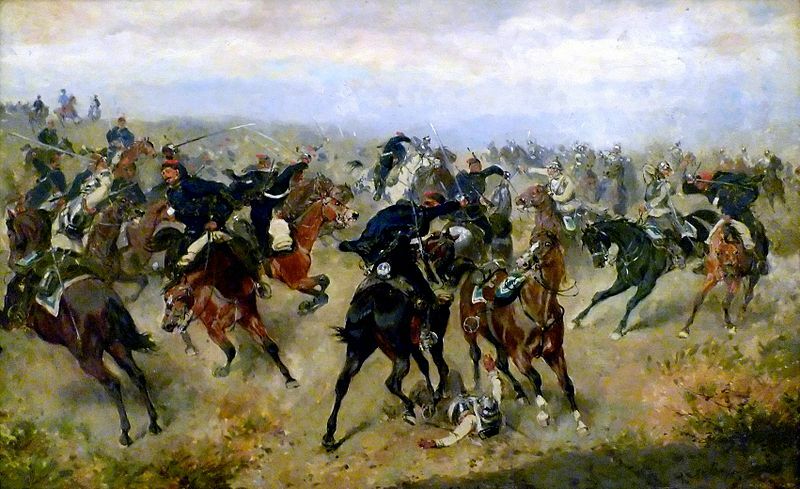 Cavalry battle between Imperial and Royal Hussars and Prussians Cuirassiers at the battle of Königgrätz (Alexander von Bensa, 1866). 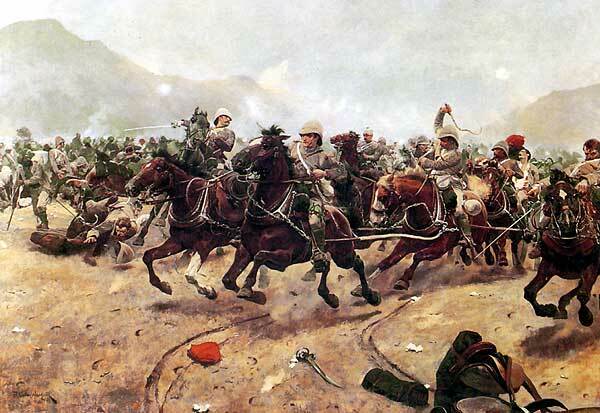 “Maiwand: Saving the Guns” by Richard Caton Woodville.(wikipedia). 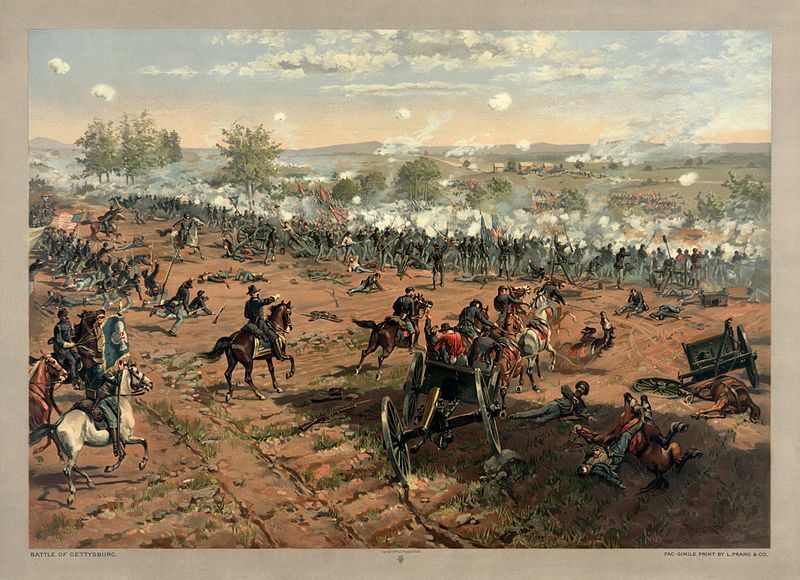 Details of how to visit these battlefields – to follow. However, visitors specifically interested in the battlefield of Maiwand and other sites of the Second Afghan War are advised to contact their nearest Army Careers Office for details of their expeditionary packed tours which offer good value but rather inflexible terms and conditions.